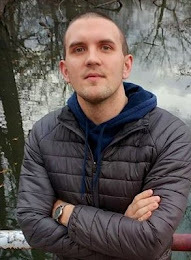 I published an article in Model D this week that describes my and Michel's surprisingly rich six month experience living car-less in Detroit. In it, I glancingly touched on something I wanted to dig into a little deeper here: my experience using the DDOT bus system. I'm a very recent DDOT user, having just gotten started in October. As I mentioned in the article, I have really come to love riding the bus in Detroit. I look forward to it, every time, for a whole bunch of reasons. But as much as the system has evidently improved in the last couple years, it still has its problems — namely, busses occasionally not showing up when they're supposed to. As I mentioned in the article, this has been an infrequent occurrence, in my experience, but that doesn't mean that it's not a maddening, frustrating inconvenience when it happens. It's a real killjoy, especially in the cold. It's also unsettling, in a very specific way. You're standing there, squinting into the horizon, hoping to catch a glimpse of the indistinct but telltale orange marquee lights that means a bus is coming, wondering — did I get it wrong? Did I miss the bus? (Did it come early?) Is it five minutes away? Is it ten minutes away? Is it just not coming? Should I call a Lyft? Should I wait for the next one? Then you see those lights, and you feel relieved, but it gets closer and you see that it's not your bus at all, but another line, going someplace else. Besides the glaring, systemic problem of the bus not being on time, there's another problem here, a human-scale problem: a problem of information. You don't know. There are tools that are supposed to help you know, but these are confusing and, evidently, inaccurate. For instance, the first time I caught the bus, I used DDOT's "Text My Bus" service, where you send a text and get an automatic response telling you how far away the bus is. It worked perfectly — it said the bus was five minutes away, and five minutes later, the bus showed up. But the next time, it said the bus was two minutes away, and two minutes later, no bus. Five minutes later, no bus. Ten minutes later? No bus. I texted again: next bus, 35 minutes. It was like a ghost bus had gone by. "Use Transit," a friend said when I relayed my experience, referring to the free smartphone app that purports to offer realtime bus tracking info. "It's more accurate." Great! So I downloaded Transit, and after struggling a bit with the so-simple-it's-complicated-interface, I got the hang of it (or thought I did). Transit uses GPS to determine where a user is and shows the buses that should be coming by, displaying a list of upcoming, realtime pickup times. Except, when I started using it...more ghost busses. More confusion. What was going on here? Transit is supposed to be displaying real time data about the busses in Detroit. But is it? I posed this question to the folks at Transit and got an illuminating response from a friendly representative named Katie. "Transit does in fact offer real-time information in Detroit for DDOT buses as well as SMART buses, and the new Q Line," she wrote. But she said that she noticed that some DDOT busses didn't have realtime data available. You can tell when there is realtime data, she said, by the radio wave icon that appears next to certain departure times. In the screenshot below, realtime data is only available for the 4:48 and 6:12 bus. The other times are all extrapolated from bus schedule data. "The realtime DDOT data just isn't consistent," Neil admitted. It's not reliable." The problem, he said, is that DDOT is using a 25 year old AVL, or automatic vehicle locator, computer system. "When you try and feed data from an old system into a newer system," he said, "things really get messy." So in the transfer, the data become unreliable. Buggy. It's the same problem for Text My Bus that it is with Transit — as users, we simply cannot expect reliable data every time, or even most times. His advice? Use bus schedules instead. 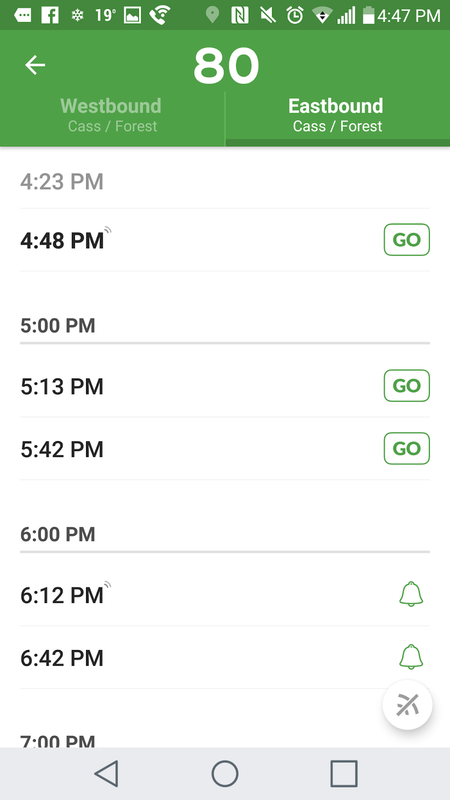 The busses, after all, tend to come when they're scheduled, so in the absence of consistent realtime data, the schedule's the most reliable option. The good news here is that, according to Neil, DDOT is currently embarking on a multi-year tech upgrade that will include a complete replacement of the AVL. "We're investing pretty heavily in all new systems," he said, "not just for the AVL, but downstream from that — apps, data processing, everything that ultimately makes it to the customer's hand. It'll be great to have. We don't just want something new, we want something that we can maintain and keep up to date." He expects the overhaul to be complete in 2019-20, and lists better realtime data as a major goal. 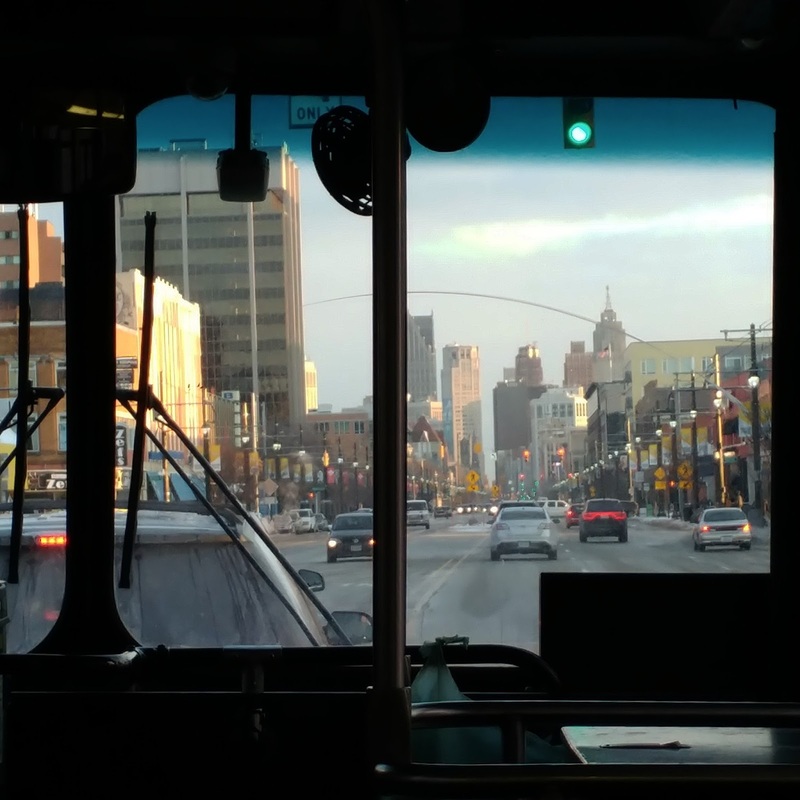 He cited other forthcoming improvements, too, including a notification system to alert riders about delays, and a new website that would help make the experience of learning how to use the bus system more straightforward and accessible to more Detroiters. So evidently, there's a lot to look forward to. For now, of course, the most pressing concern remains the big one: those late or MIA busses. The best way to address that problem, Neil counsels, is to let DDOT know about it. "We really like complaints," he said, "but please don't just blow steam and tell us how we wronged you; tell us when, where, and what line. We need specifics." Ideally, of course, the bus system wouldn't wrong its riders at all, but as you may have noticed, we don't live in an ideal world. I'm going to keep riding DDOT because I like it and it's convenient and, in my experience, it usually works just fine. I'm sure, here and there, another bus or two is going to not show up, and I'm sure I'll feel frustrated and wronged and curse the fact that we just can't seem to get transit right in this town. But I'm glad I spent some time digging into this, because I'll also take some comfort from the thought that something better might be coming down the road. If I squint, I can almost see it. I watched Poland come out of Communism in 1989 and saw the public transportation systems transform from good to great. One example...each station has an LED board that counts down the number of minutes till the next bus/tram arrives. No guessing and it's a live system. If poor Poland (although not so poor any more) can do this what is wrong with our picture? ?